Mahash Saeed Al Hameli, UAE Ambassador to Pretoria, met here on Friday with Derek Hanekom, South African Minister of Tourism, and discussed with him bilateral relations and ways to enhance cooperation in all fields, particularly in promoting the two countries as tourist destinations. 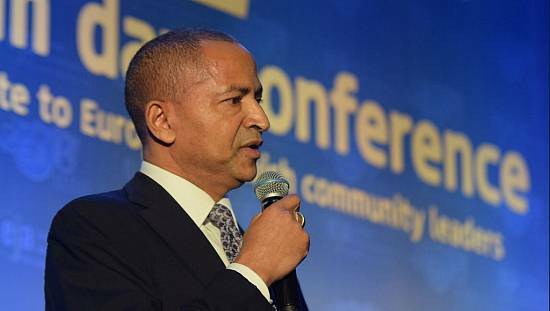 The South African Tourism Minister praised his country's progressive ties with the UAE and expressed appreciation to the direct tourism investments made by the Emirati investors in the UAE. He also lauded the role played by the UAE national carriers in boosting tourism in both the UAE and South Africa. Ambassador Al Hameli conveyed greetings of the leadership, government and people of the UAE to South Africa on the 25th anniversary of establishing diplomatic relations between the two friendly countries.